This World Music Week, the Ghalat Family frontman tells you about some fresh talent you should be checking out. Sometimes one must sit back and thank the world wide web. I recently discovered Samar on YouTube and have practically stalked him. This talent is on a boil and is waiting to explode like a volcano. He has amazing skills on the guitar and dwells in beautiful soundscapes. I can’t wait to get my hands on an album as soon as he records one. The world of singer-songwriters has produced many amazing talents in recent years. It is a world that is brimming with talent but unfortunately most of them end up singing in an accented English and that breaks my attention. Saby is one artist who sings in the language and accent he thinks in. There is something really heartfelt in the way he approaches his songs. The words and the melodies entangle with each other and create a sweet harmony. I have seen him single-handedly hold big stages with just the power of his expression. The most exciting new thing in the Bombay Hip-Hop scene after Naezy and Divine paved the way. Emiway is raw, hard and sings with no holds barred. The hip hop world is currently writing better words than the singer-songwriting world. It would be unfair to not include Emiway in the songwriting club In a world where Kendrick Lamar is winning the Pulitzer. Spitfire hails from Midzone, his word for Madhya Pradesh. I see him as a poet before I see him as a rapper. He has a laid-back style and effortlessly spits out his poems in a unique flow. He has a Tom Waits kind of drawl in his manner. I am a Dot fan boy. Secretly, I am very jealous of her talent. She has an old world charm in the new world. Her lyrics are as free as free as the wind blows. If I were to cast Bohemian Rhapsody, I’d cast her over Rami Malik. If there is one artist from India who can chart her way to the Grammy’s then it’s her. 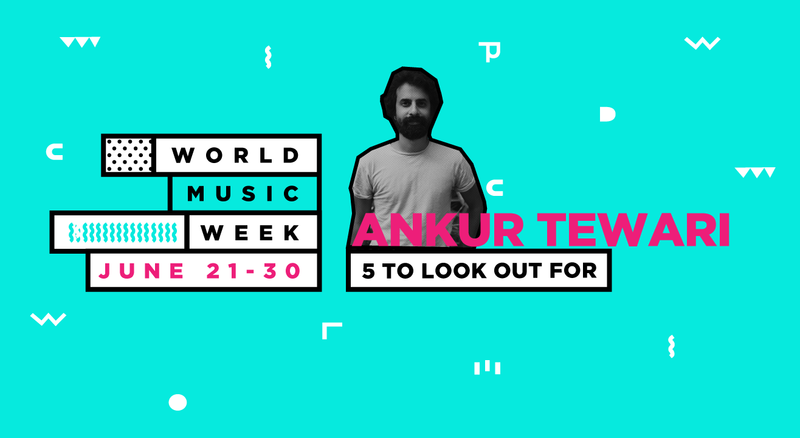 Ankur Tewari is a popular Indian musician, who fronts the Hindi pop-rock band Ankur Tewari & The Ghalat Family. Follow them on Facebook, Twitter and listen to their tracks on SoundCloud. Download or stream their double album on Apple Music: Side A / Side B. Ankur Tewari also recently released Bachcha Party, a album for children. Stream it here.